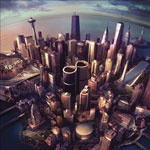 Well, it’s been over 20 years since the Foo Fighters got started, and over that time, they have become one of the most renowned alternative rock bands in the whole musical landscape. While they’ve had some interesting times together, they’ve also managed to crank out some of the most memorable songs of the last 20 years. Let’s take a look back and review their entire catalogue. Their most recent work was also their worst and least essential, besides the 2006 acoustic live Skin & Bones record. This album’s scope was initially great: record songs in different cities with different guests, absorbing the culture and musical landscape of each city. But unfortunately, it didn’t translate into many good songs. The singles “Outside” and “Something From Nothing” are the two best songs here. But when there are only eight songs total, that’s not a very good ratio. This one is just disappointing all the way around. This is an album that took at least two or three tries to record and nearly broke the band up in the process. 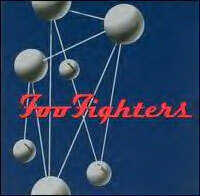 But even Grohl himself was ultimately unsatisfied with this disc. Of course, everyone knows “All My Life” and “Times Like These,” but there aren’t a whole lot of people remembering how good “Low” or “Tired Of You” are. Every song feels too long, like they were just trying to finish the damn thing. I wasn’t impressed with the record when it came out and it’s not one that I go back to very often nowadays. Now, this was a good record when it came out, but over time, its novelty has worn off. The first disc still has some of their best rockers, including the title track, “DOA,” and “Free Me,” but the acoustics of disc two dragged the record down a bit. Still, songs like “Friend Of A Friend,” “Still,” and “Virginia Moon” are great to this day, while others just feel weighted and bloated. 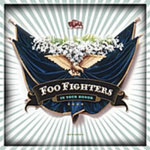 “Best Of You,” the album’s biggest hit, even wore out its charm really quickly and is one of my least favorite songs in the band’s catalogue. After the experimentation of In Your Honor, the band went back to rocking full on (though there are still some some softer moments to be found). 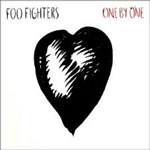 This record was one of the best of that year; “The Pretender” and “Long Road To Ruin” are still two of my all-time favorite Foo tracks. Even the stuff that wasn’t released as singles is amazing, like “Let It Die” and “Cheer Up, Boys.” This was the disc that paved the way for one of the best records of their career. One of their strongest records and one of the best albums to close out the ‘90s. Everyone still loves “Learn To Fly,” including my mother, but the real bread and butter of this disc is “Breakout,” “Stacked Actors,” and my all-time favorite song the band has ever done, “Next Year.” The overall quietness of the record is offset by the hard hitting “Breakout,” and this ability to maintain an uneven balance is one of the record’s greatest strengths. It was also one of the best albums the band would put out for a while. This is one of the most exciting records the band has put out in a while. Musically rejuvenated after some time off and welcoming Pat Smear back into the fold, the band churned some of the best songs of their career, including “White Limo,” “Rope,” and “Walk.” But it’s some of the album cuts that are the emotional core of the record, including “Bridge Burning” and the painfully autobiographical “I Should Have Known,” one of the band’s best recordings. This was quite the comeback for the band and one of the best rock records of the new decade. 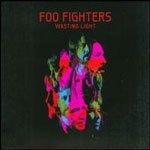 Ostensibly a Grohl solo record, this release still has some of the best songs in the band’s oeuvre. It’s also a lot noisier than their other records would be, and that’s one of the things that make it so good. For me, it doesn’t get any better than “Weenie Beenie” or “Alone + Easy Target,” but that’s just a sampling of the amazing tracks contained within. 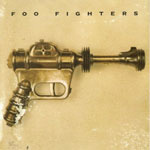 Grohl came out with guns ablazing to prove that he was more than just the drummer for Nirvana, and he proved it beyond a shadow of a doubt on the very first record! Big shocker here! 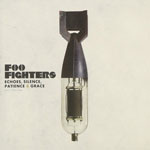 Everyone and their parents adores “Everlong,” but the real gems are the tracks that don’t get a whole lot of attention like “Up In Arms” and “Enough Space,” one of the band’s best and loudest songs. Though there was a lot of drama making this record, it doesn’t hinder the disc at all. This was ultimately selected as the band’s watermark, an achievement in music that would be hard to top. 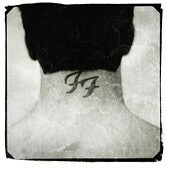 Although they’ve put out some great records and some amazing songs, this is still the go-to album for most Foo fans.